I currently have six unpublished blog post drafts. There is so much going on around me every single day. So much I want to share. So much I wish I understood more of. So much I want to process and explain. So I start a post and then I find that in order to share the stories I want to share, it would require having words to explain said experiences – and I don’t. At least not always. So much of my world right now I am experiencing without fully understanding. Participating without knowing why (or how). I’ve found that, essentially, the key to assimilating is embracing being awkward, confused, weird, and sometimes wrong. I took those six drafts and scrapped them. Instead, here are the words I could find. I don’t try to explain every detail. I can’t even pretend that these snapshots have captured even a fraction of my reality right now, but it’s the best I can do, and you’re entitled to ask as many follow-up questions as you’d like (ahem: mom). Honestly, I was a little annoyed at the beginning. I didn’t really understand the point. Classes were cancelled or moved around. Kids were running amok. Flowers, candles and seemingly random knick-knacks were purchased. Eventually I shed my skepticism and appreciated this day for what it was: a sign of love and gratitude. 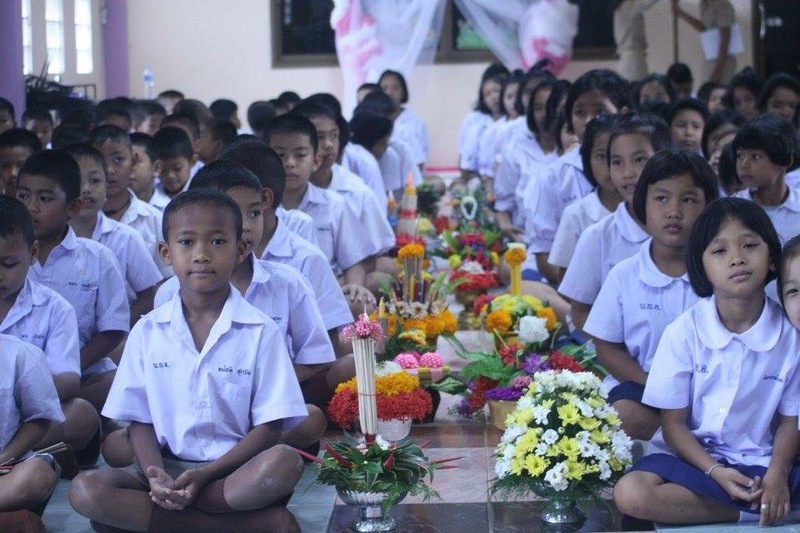 On Wai Kru day, each class lined up and one by one paid respect to each teacher by kneeling and wai-ing. (Sidenote: a wai is a form of respect and greeting in Thailand. You wai each time you say hello. You place your hands in the prayer position and put it to your face with a slightly bowed head.) It was incredibly sweet. So even though it may have been a required event full of chaos and cancelled classes, it was a reminder of gratitude, thanks, and respect. All things I think the States could use more of. When someone is preparing to become a monk, there is a huge party usually lasting several days. 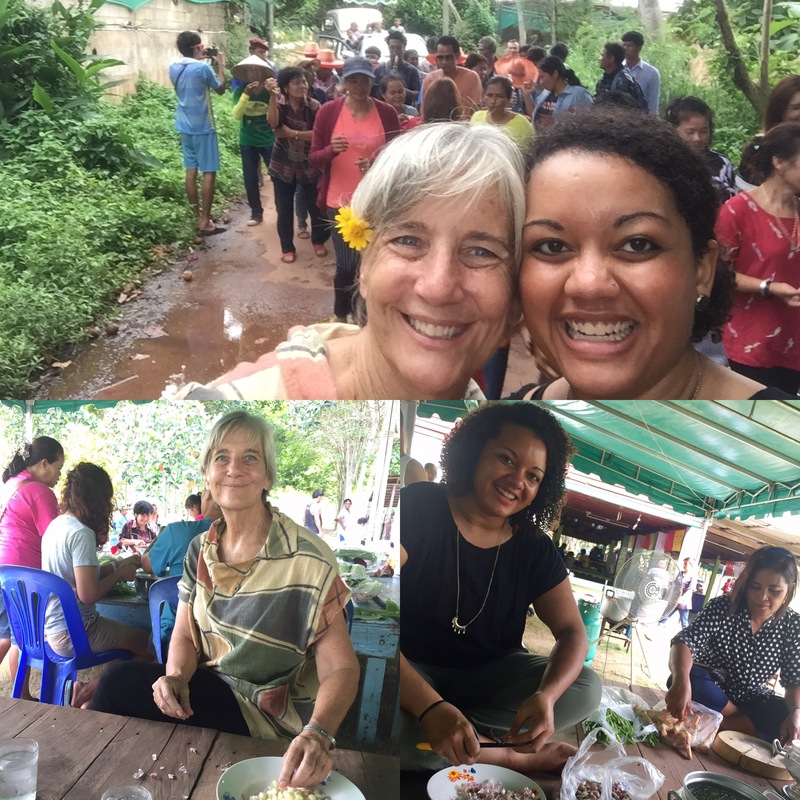 Last weekend, my host family invited me and the neighboring volunteer, Barbara, to participate in the ngaan buat of a family member. I had been to one of these before, so I assumed it would be a couple hours of dancing three times around a Wat. Wrong…per usual. This time, it was a full day. 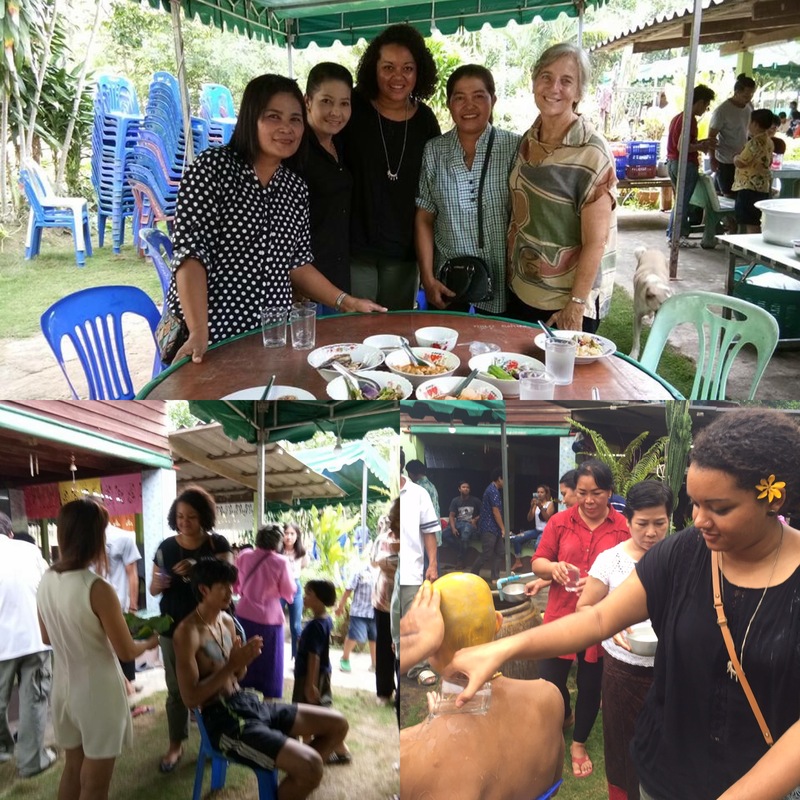 We helped shell garlic, we ate, we played with kids, we ate, we participated in each guest cutting off a lock of the soon-to-be-monk’s hair before his head was shaved, we ate, and we waited until the afternoon when we made our way to the Wat. There was music, dancing, and eventually more food. We danced down the street back to the family’s home and each guest splashed water over the boy as a cleansing. We got home that evening thoroughly exhausted, but it was a fun day of celebrating! I’ve already gushed about how I think I have the best site ever, so I’ll keep this one short. 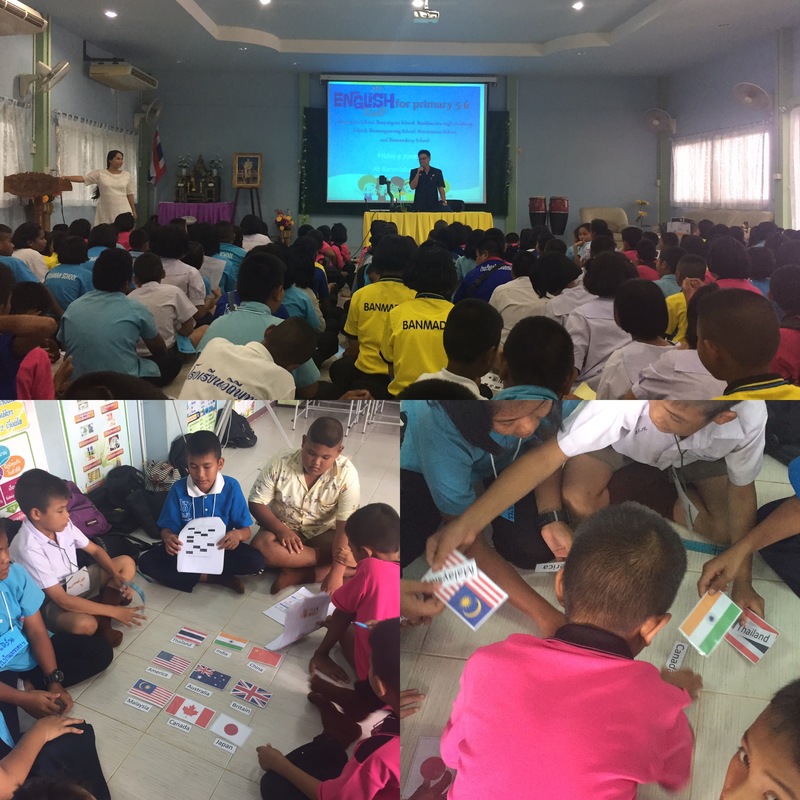 My counterpart’s and I helped with an English camp for the schools in our area. 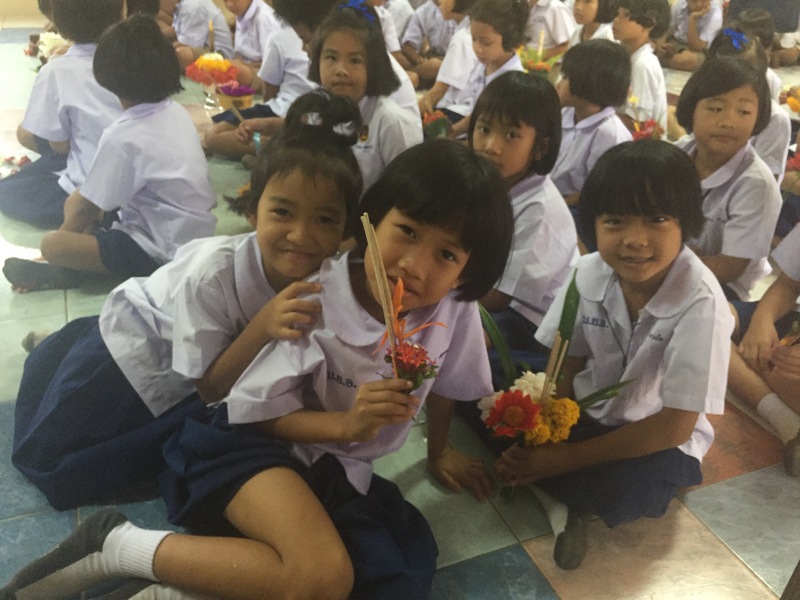 Prathom 5 and 6 kids gathered at a neighboring school for a day of English lessons. 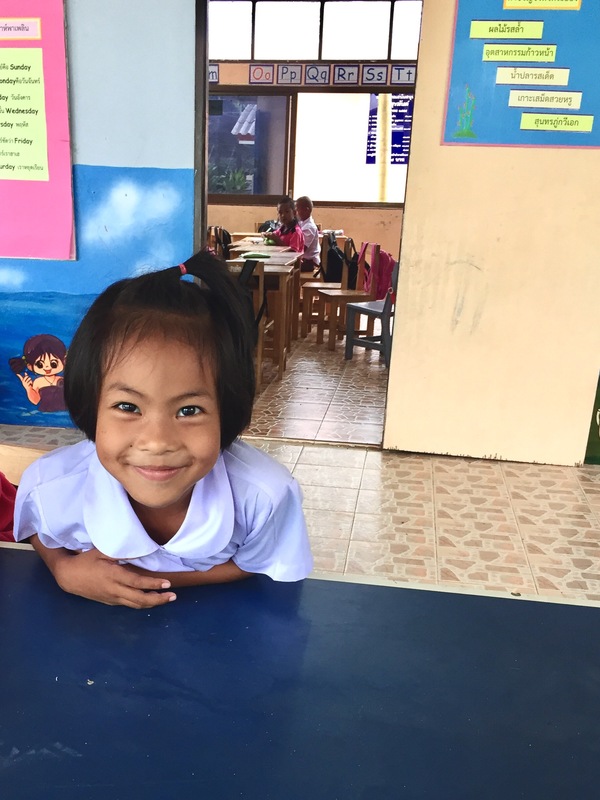 Each school prepared a lesson and the students rotated through six rooms to participate in each lesson. It was an exhausting day, but also a lot of fun. I continue to be impressed and excited about how awesome my counterpart(s) and teachers at my school are. 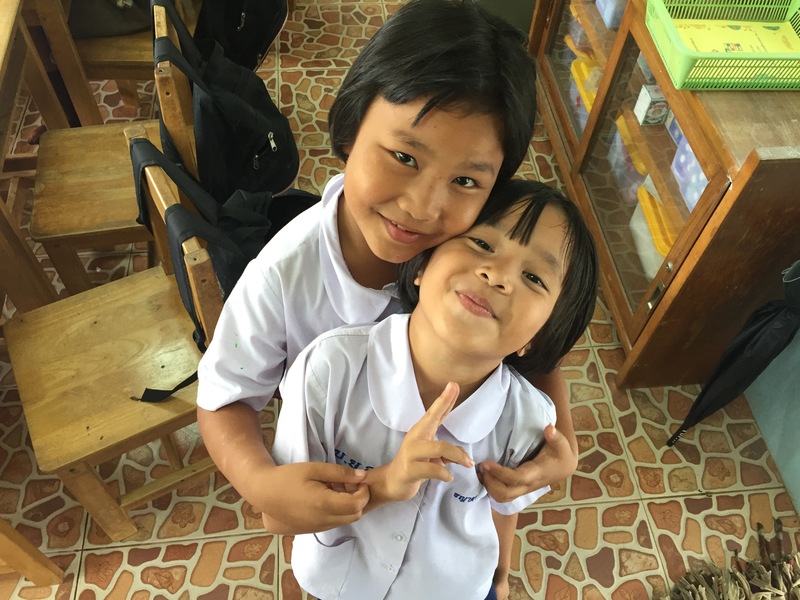 They’re so passionate about wanting kids to love learning – I’m just happy I get to be along for the ride! 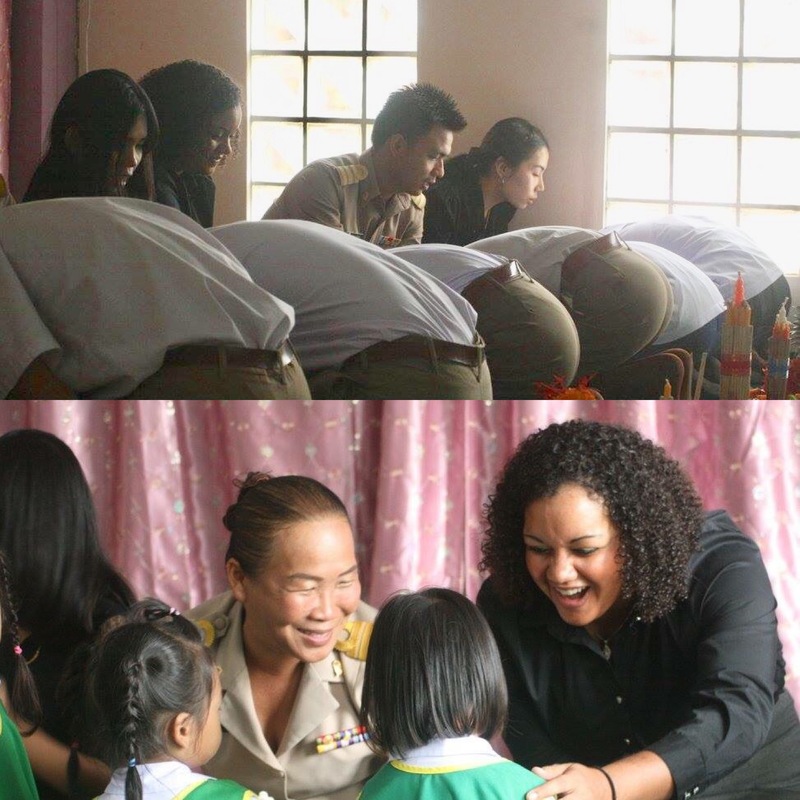 All around Thailand communities celebrated the birthday of the late royal poet Sunthorn Phu. 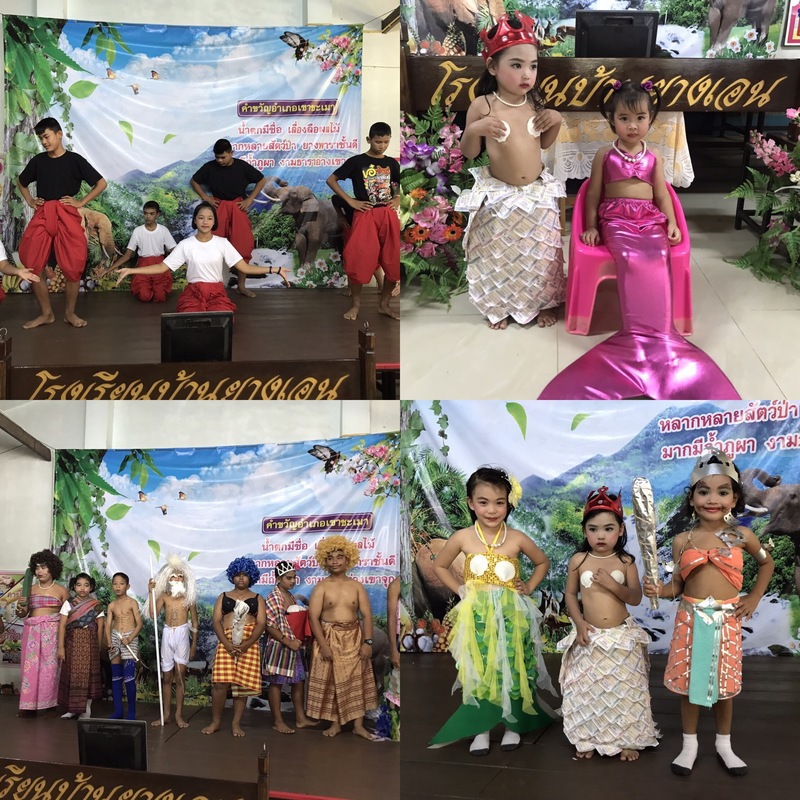 Since I live in Rayong, and his family was from here, our school had a full week of activities celebrating him and his contributions to the Thai language. I admit that beyond this, everything I know is from Wikipedia. I’ll synthesize it for you: mermaids, old men, mermaids, ogres, and mermaids. The kids had a blast performing skits, dressing up, and having a singing competition. Again, this week left me with more questions than answers, but hey! I’m used to that these days. Three months ago, I would ride my bike to school and be greeted by skeptical faces. Lots of staring. 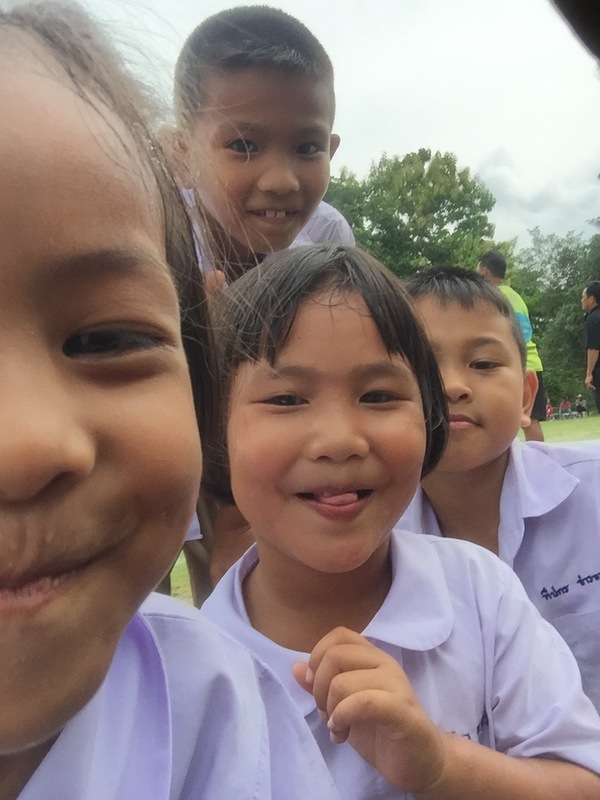 Kids whispering about the farang in their midst. Forgetting, or not realizing, that I know a good bit of Thai. Clusters of timid little faces would giggle among each other before prodding the bravest among them to speak up. I’d hear a small “Hello” and return the brave child’s greeting with a smile and a “Good morning”. Fast forward to my life now, and it’s hard to believe these are the same timid children. Now the shouts of “Hello!” begin before I’ve even reached the entrance to school. I get hugs, high fives, and (occasionally) bugs. There are days when understanding maybeeeee 30% of what’s happening around me feels soul crushing. Some days, like my birthday or a good friend’s wedding day, all I want is to be with people who truly know me, or at least speak the same language as me. Previous Post Where’s the other shoe? I think you do miss us, you’re picking on us! Love you Celete & all you are experiencing in Thailand! Wish we had facetimed from the wedding – why didn’t we think of that? !